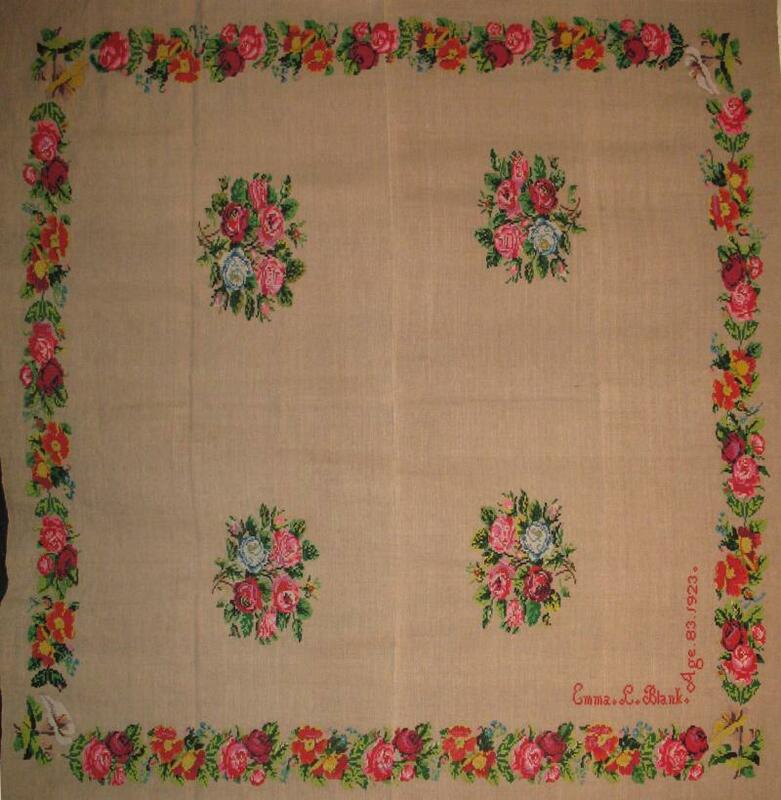 Great looking and unusual homespun linen bedspread with fine needlework floral clusters and a border all around. Signed...Made by Emma L. Blank Age 83 in 1923 as indicated in corner signature portion; found in Lancaster County, Pennsylvania. Heavyweight flax color linen woven prior to the date of embroidery. no doubt. A special home furnishings accent to any interior.